Don’t you just love it when you make something that is healthy, but it tastes like a delicious sweet treat? This banana mocha smoothie is one of those recipes. 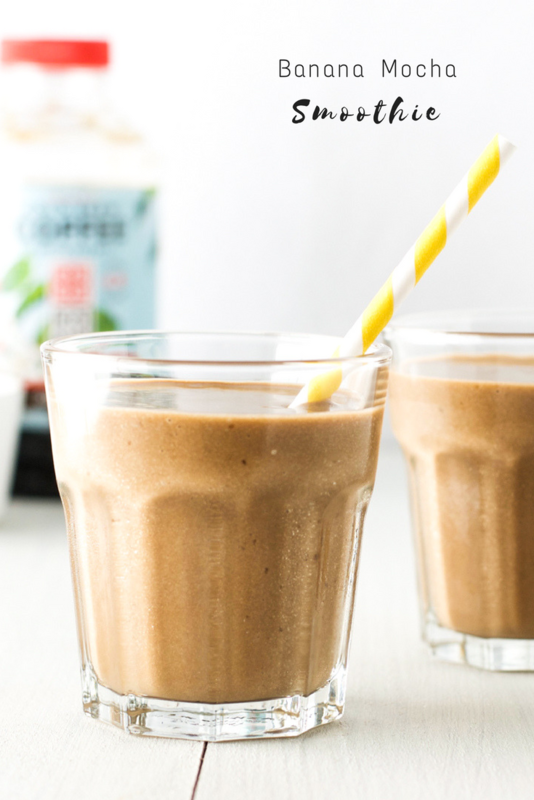 Even though the ingredients are healthy and nutrient-dense, when you blend them all together, they create this wonderful adult-only milkshake. The combination of banana, chocolate, and coffee is delicious, and the little hit of caffeine will satisfy your craving for a cup of coffee. 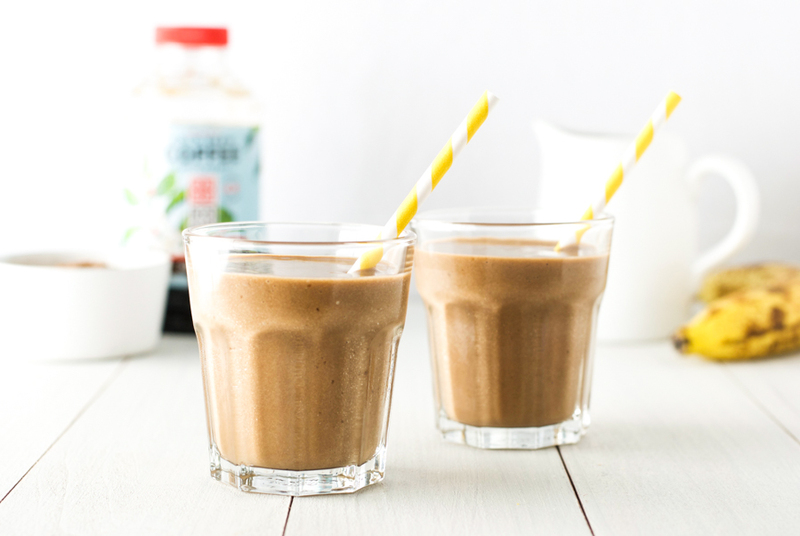 Made with banana, avocado, cold brew coffee concentrate, cocoa powder, chia seeds, vanilla, milk, and a little maple syrup, this banana mocha smoothie is a tasty and nutritious treat. It even contains almost 1/4 of your daily fiber needs in one serving! And if you are a nut butter fan, you can add a dollop to increase the protein content. This smoothie makes a great afternoon snack if you are hankering for a coffee but don’t want too much caffeine. Just blend it all up in the morning, take it with you to work in a sealable jar, and store it in the fridge until you are ready to sit back and enjoy it. 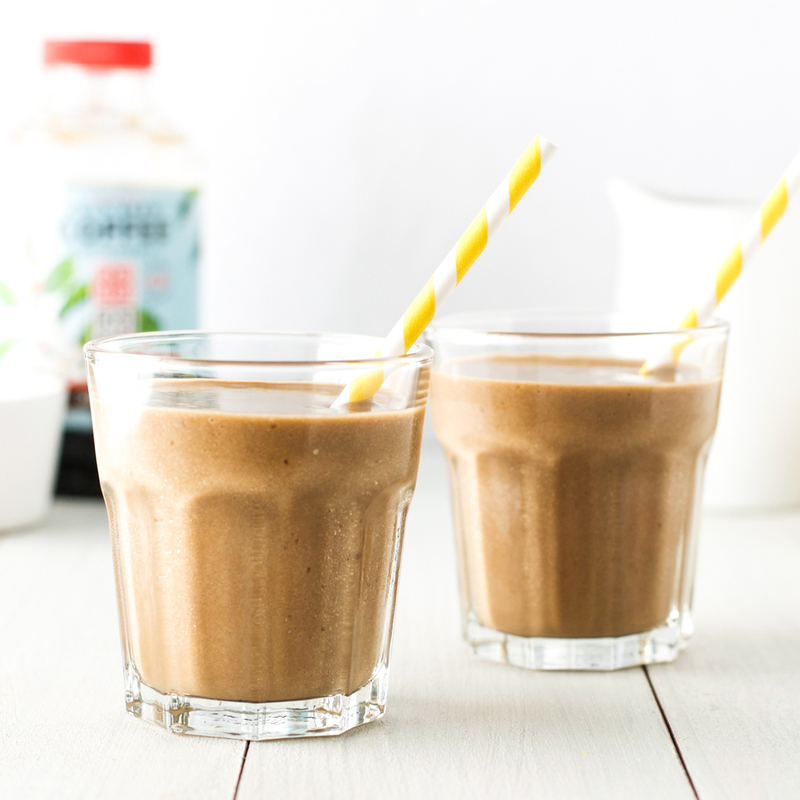 This banana mocha smoothie is full of fiber, healthy fats, and a shot of cold brew coffee, making it a healthy and delicious afternoon pick-me-up.